We had daily cleaning service and the softest and best smelling towels we ever had. The host incredibly helpful. He managed everything so we received our forgotten clothes in Santorini. He was always polite and gave us precious advises about beach and food. It was a short stay this time but next time we will spend more time in Páros at Malamas. Thank you for everything George. We have been coming to Malamas appts for over 20 years. The reason being that they are perfect for visiting Paros. The appts are clean spacious and good value. 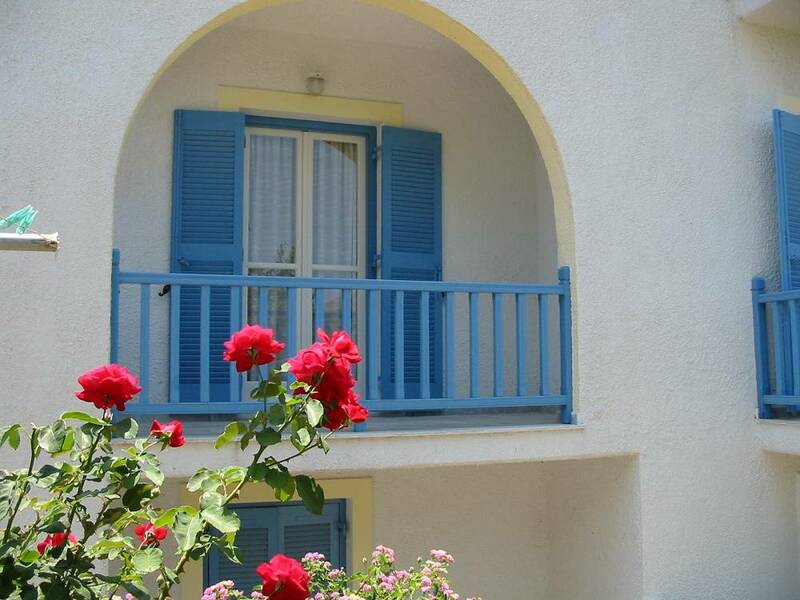 Close to the beach and not far from the port, restaurants, and the chora. George is the friendly owner and he and his wife Anastacia also own a great jewellery shop in the chora. Well worth a visit! Had a really great time here, stayed for 5 nights. The beds were comfortable, the air conditioning worked great, the owner (George Malamas) was very very friendly, the apartments were at a great locations. A bit of a walk from port and then close to town. There was a very nice shared patio outside to sit at. We had a great experience staying here back in August! George was an excellent host and took his own time to help us out with the area and activities. He went above and beyond what other hosts have done for us and truly made us feel welcome. Secure room, with extremely good cooling units - we were here during the heat wave and this was a lifesaver! Wifi was really good too, we had a pleasant outdoor seating area and quiet garden views. We also made good friends with a local cat - adorable! Our group of 4 kiwis had a perfect suite, good bathroom and nice beds. George even let us store our suitcases after check out so we could explore before our next ferry.The room was kept very clean with linen changed daily by the cleaner - who was also lovely and friendly! Thanks so much George, we will surely stay again when we return - look forward to meeting again! !